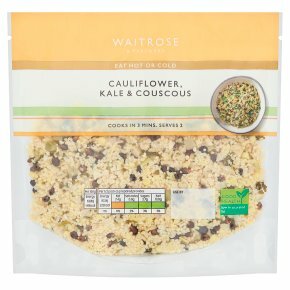 Fresh and aromatic cauliflower, kale and durum wheat couscous, with lemon and garlic. Simply steam in the bag and use as a salad base or as a side to meats, fish or vegetables. For best results serve hot, but may be served cold.